Protect and store your CDs with style when you use our round slip cover tins! These tins are offered with or without black CD inserts. Try using them to hold CDs of your favorite songs, digital pictures, video and other media. 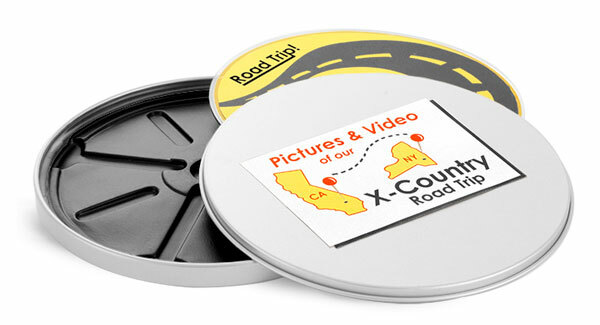 Decorate the CD tins with labels and give as gifts so others can relive the sights and sounds of your adventures!